There are currently 3 ferry routes connecting Carteret and the Channel Islands, with services from Carteret to Guernsey, Jersey St Helier and Sark. On average, there are a combined number of 10 crossings per week between Carteret and the Channel Islands, which are operated by Manche Iles Express. The shortest crossing is to Jersey Gorey and takes around 55 minutes, while the longest crossing is to Sark and takes approximately 3 hours 15 minutes. The above information is a basic summary on the services between Carteret and the Channel Islands. We recommend using our Ferry Search to find live ferry information and the latest prices. Barneville-Carteret has historically been a popular seaside destination in France. Barneville-Carteret is a quiet seaside town which has grown over the years to become a beautiful resort with a number of hotels and restaurants to choose from. The Channel Islands comprise the larger main islands of Jersey, Guernsey, Alderney, Sark and Herm, and the smaller islands of Jethou, Brecqhou and Lihou, as well as numerous small uninhabited islands. 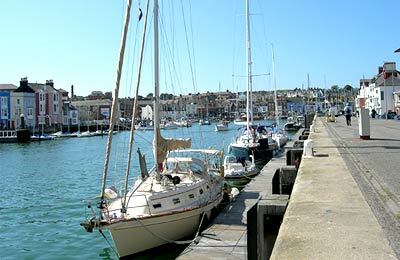 The largest islands of Jersey and Guernsey are popular with tourists all year round. Their mild climate and distinct culture offers visitors plenty to see and do. In Jersey, take a trip around the capital St.Helier where the mix of high street major stores, small, independent shops and no VAT make this town a shopping haven. For a real taste of the islands, go take in the sights (and smells) of the local fish markets and dine in one of the many authentic restaurants around the town. Each with their own distinct culture and mild climate, it's no wonder that the Channel Islands are popular with tourists from both England and France. Whether you're an adrenaline junkie looking for the thrill of sky diving or you just want to admire the landscape from Haut Pas, the Channel Islands have something for everyone. The Channel Islands; Jersey, Guernsey, Alderney, Sark, Herm and the smaller islands of Jethou, Brecqhou and Lihou, are all beautiful islands of the northern coast of France, near Normandy. Almost completely separate from the UK and France, the Channel Islands are incredibly unique and full of culture and independence. 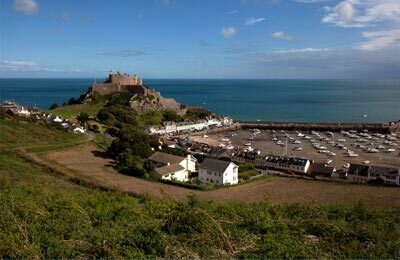 Jersey, the largest of the islands, has the most hours of sunshine per year and long, sandy beaches whilst Guernsey, the second largest, is highlighted by the Haut Pas, a high plateau that overlooks the whole of the island. From skydiving to jet skiing, the Channel Islands has it all whether you're looking for a adrenalin-pumping adventure or relaxing day on the beach.